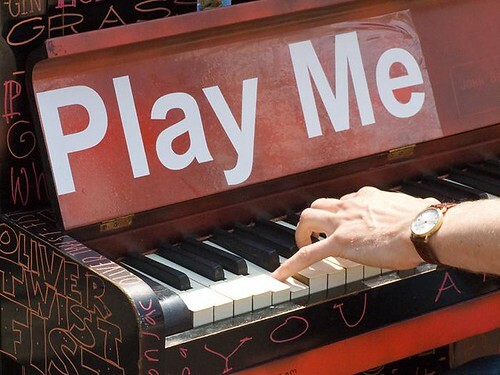 Play Me, I’m Yours is an art installation from British artist Luke Jerram. It’s a project he has been touring around the world since 2008. This Monday concluded the 2 week New York debut, which was the largest version yet with 60 pianos being rolled out all over the city. Subsidized by Sing for Hope, the pianos were refurbished and placed in various parks, plazas and on street corners throughout the 5 boroughs. I love this idea and wished that I had stayed in NYC just a bit longer to see it first hand. It’s not just a great way to bring music to the streets of the city but it also brings the people together as they enjoy, share and participate in the music. 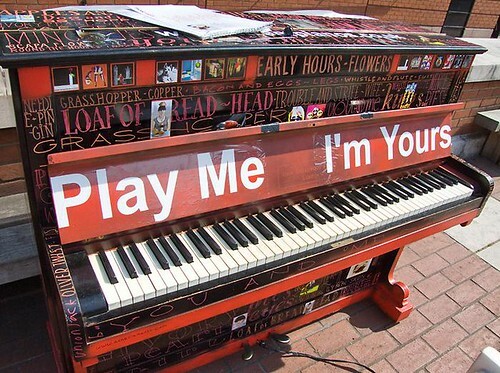 Keep in mind, these pianos are intended for the public, not just street musicians or seasoned professionals. The concept is that anyone is welcome to sit down and play, regardless of their ability. It’s an open invitation to share music with the people around you, whether it’s “Beethoven’s 5th” or just “Chop Sticks”. The response has been amazing, running the gamut of possibilities. Up and coming professionals have used it as a way to showcase their music in the public domain, something that usually requires a city permit, and the occasional “big name” has sat in unexpectedly to share their gift. Street musicians have found it to be a great way to setup shop in new locales while complete novices have tried their hands at something they never even considered due to lack of access to a real piano. It’s a fantastic idea that should not just be perpetuated in cities large and small around the world but should absolutely be brought back year after year or perhaps even be considered for permanent installation during the summer months. At a time when the arts and, more specifically, music programs are being slashed all around us, it’s a brilliant way to keep music alive amongst the populous. Hopefully you got to see some of this in action around NYC. If not, there are numerous videos that share the experience quite well. Below are a few but be sure to visit the artist’s website to see others, as well as some really cool photos and learn a lot more about this incredible project. 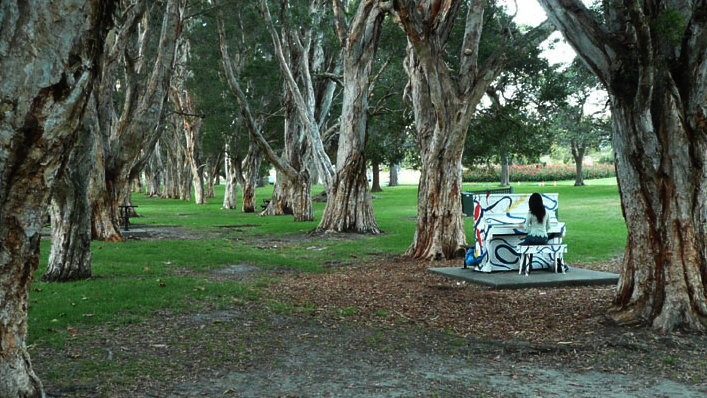 Visit StreetPianos.com to learn more. 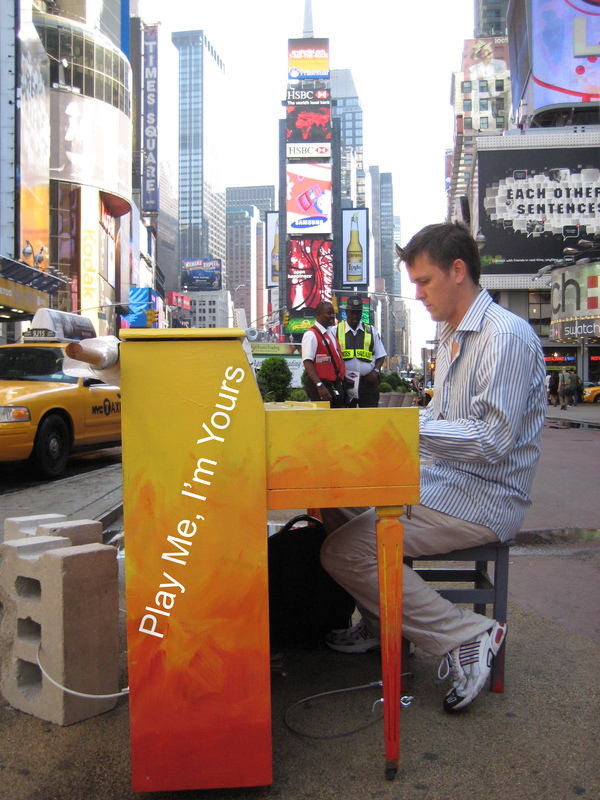 Click HERE to see the locations where the each piano was placed in NYC. Here is the LINK to learn about the origins of the project and how it is received by the public. Also, to read more about the piece, check out this New York Times article. The Deep End: Huge Horn or Puny Player? Recently, I have been curiously looking into some very enormous and, consequently, bizarre instruments. Although I have never explicitly stated so on GG, if you read between the lines you may have inferred that The GG is in fact a bass player. So, as someone who fancies the low end I wanted to research some of the other instruments capable of producing that bottom register. You would be surprised (and delighted) by how many weird and unusual instruments are designed to produce such incredibly low tones… I’m talking REALLY deep. Instruments are often referred to in terms of their pitch or register. Think of an orchestra or chorus: soprano, alto, tenor, baritone, bass, etc. Well, these monstrosities are so low that they have their own deep end designations, known as: contrabass & subcontrabass. It’s pretty straightforward, contrabass being one octave lower than bass. While subcontrabass takes it a notch further, tuned an octave lower than contrabass. The best part about these crazy instruments is that they are all huge in order to naturally be able to produce tones so low. Ok, ok… the best part may actually be their ability to create fart-like sounds that makes the kid in all of us chuckle. Here is another duet. This time, the contrabass trombone. There is actually a subcontrabass trombone that requires a double slide but videos are scarce and, frankly, not nearly as enjoyable as this one. Now we’re really going low. This one is the subcontrabass flute. It may be the strangest because the flute family is usually reserved for the high voices in most ensembles. Needless to say, this is very rare (and odd). This is a subcontrabass recorder. Yes, like the recorder you used to play “Mary Had A Little Lamb” on when you were in kindergarten… except this in so big it requires 20’of headroom to play. 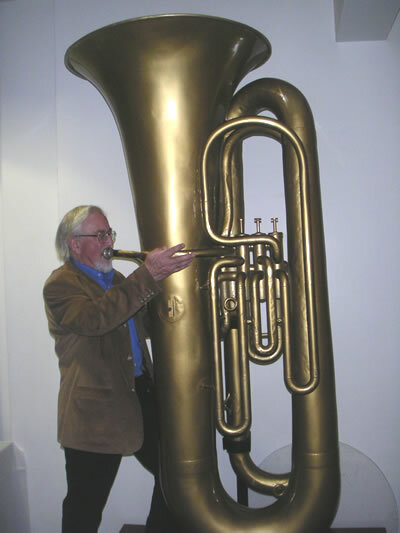 Believe it or not there are actually a few more… like this HUGE subcontrabass tuba. But, I think I’ll leave it there. As fart-tastic as it is, you clearly get the point. Ok. So, there are always exceptions. This is actually pretty cool. It’s a giant science project that enables humans to go inside a huge made-to-scale guitar to see and hear how the acoustics work. Since I’m on the topic of Herbie Hancock, check out this video of Herbie and Quincy Jones playing around with a really old synthesizer, the Fairlight CMI. I first saw Herbie messing around with this thing on Sesame Street… waaaay back when. All I could remember was that it was really weird for children’s programming. I just found that same video on the web and upon watching again I pretty much came to the same conclusion (20+ years later). 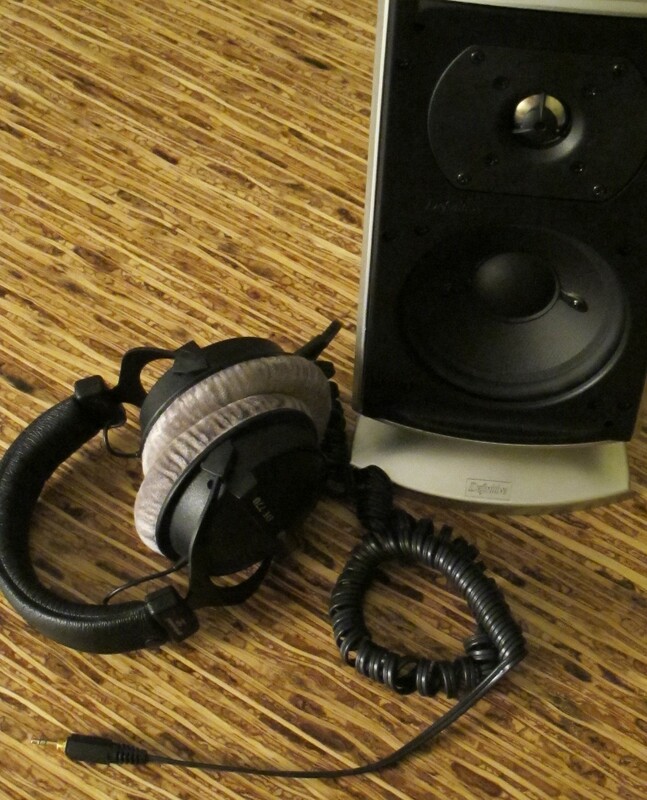 The CMI first came out in 1979 for like $25,000 and it basically became the sound of the 80’s. 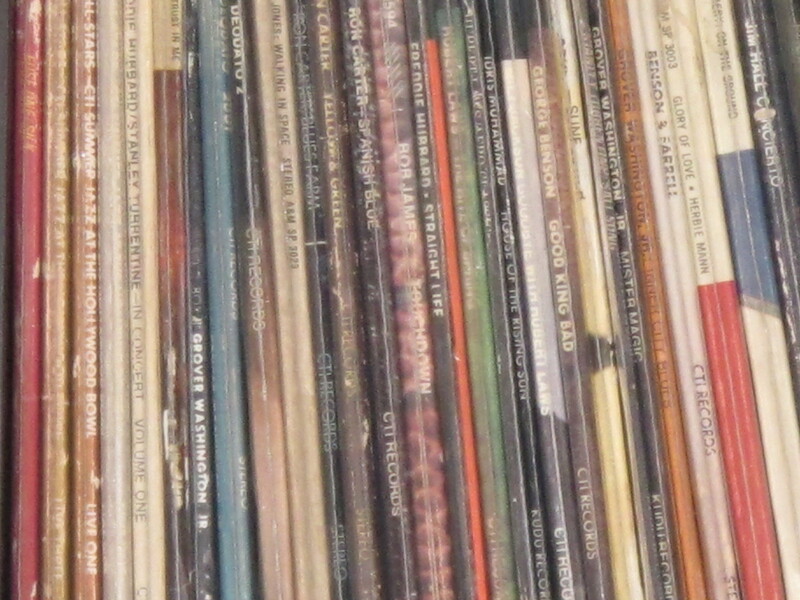 Peter Gabriel and Stevie Wonder bought the first 2 that rolled off the production line… which makes sense. You’ve definitely heard it before in many, many 80’s classics. Note the light pen/stylus thingy. For some strange reason, it kind of reminds me of that weird pen, Mortimer Ichabod, from Bill Cosby’s Picture Pages (Nickelodeon circa 1990-ish) . I don’t know, it must be the overt digitalness and/or the fact that it’s seems totally ridiculous because it’s supposed to be so ahead of it’s time and yet seems so dated. Little did they know the stylus would become completely obsolete in the new millennium. Look at us… just using our fingers to interact with these crazy gadgets. There are numerous videos of this thing for reference, like Keith Emerson of ELP on The Today Show – 1983. This is actually a REALLY good one. It’s crazy to see their mentality about digital music in the early 80’s. You need to hear some of the questions this reporter poses. It borders on fear mongering. In 2010 it really sounds absurd. There are also many more just like or very similar to that one but, I certainly don’t want to post them all here so follow the links below back to YouTube if you are curious. 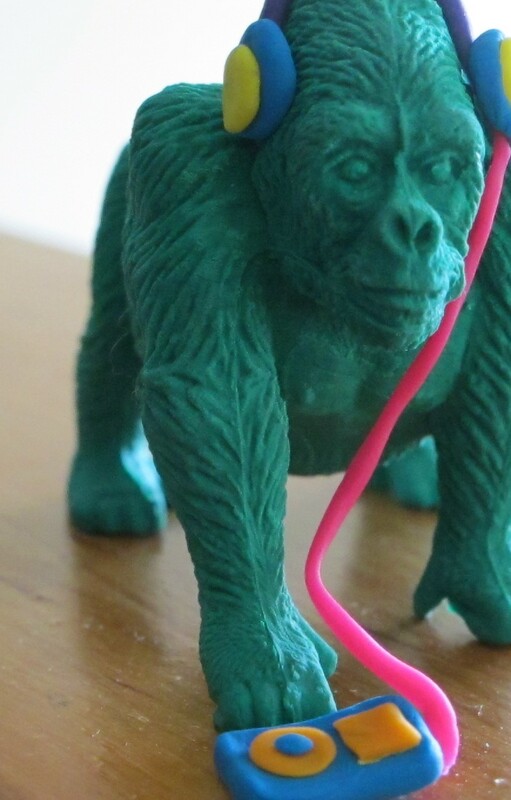 I’m even linking Mortimer the Pen too. How could I not? Really odd UK news show, This Week, features the CMI. Old + odd… usually a recipe for a pretty decent video.